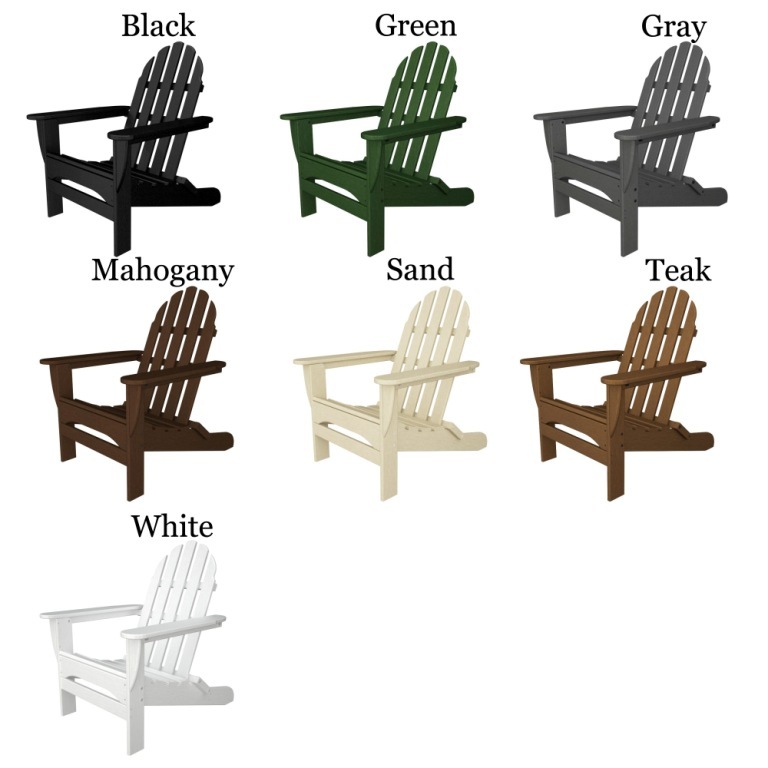 For a timeless look on your patio, porch or deck, choose the beautiful POLYWOOD® Classic Folding Adirondack Chair from Outdoor Furniture Plus. 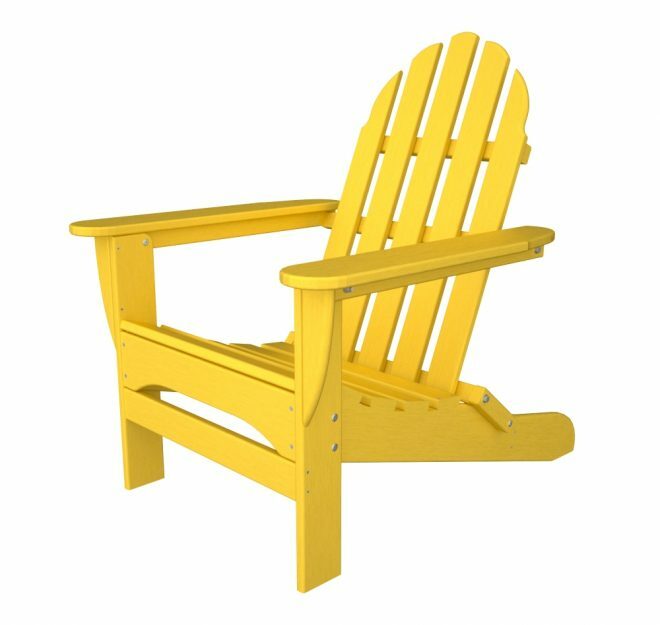 This stunning, simple chair is made of POLYWOOD® material, which includes recycled materials for an eco-friendly approach. 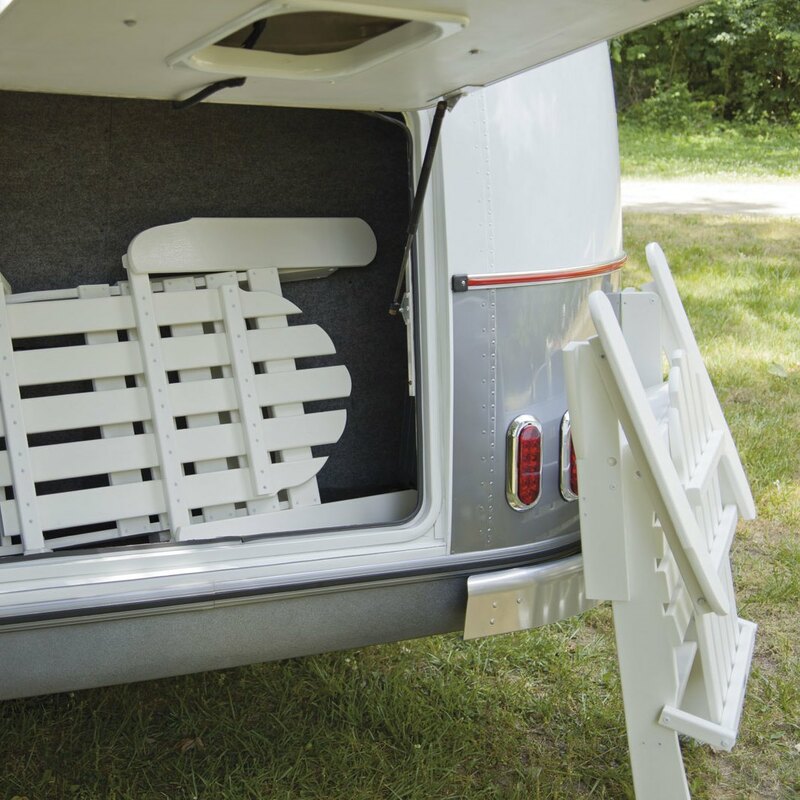 In addition, it's incredibly durable and it even folds up for easy storage. 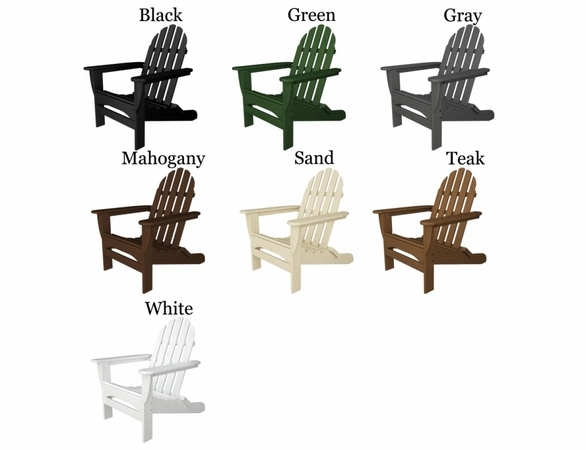 Choose from over 10 stunning finishes, including subtle neutrals and bright, bold colors. 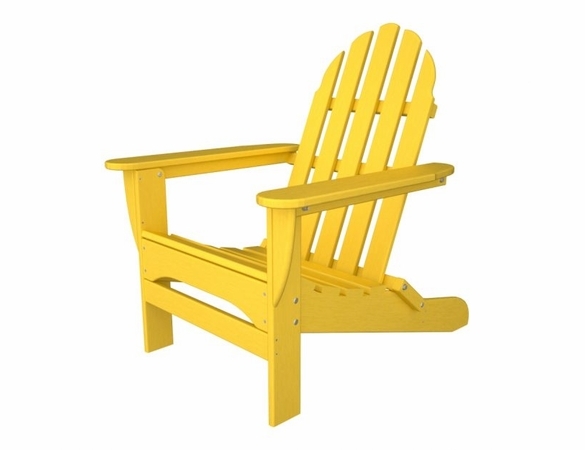 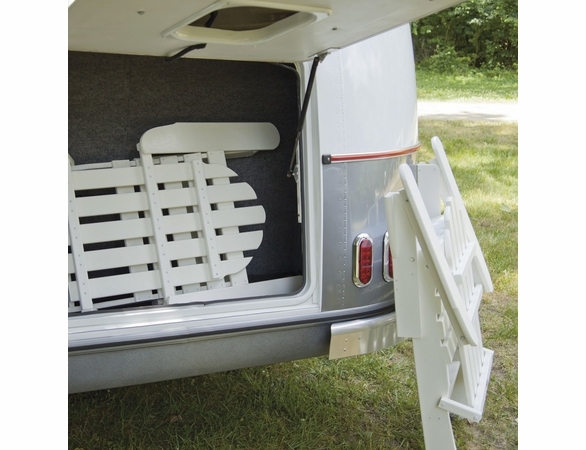 Optional seat and full cushions may be added to your resin Adirondack chairs. 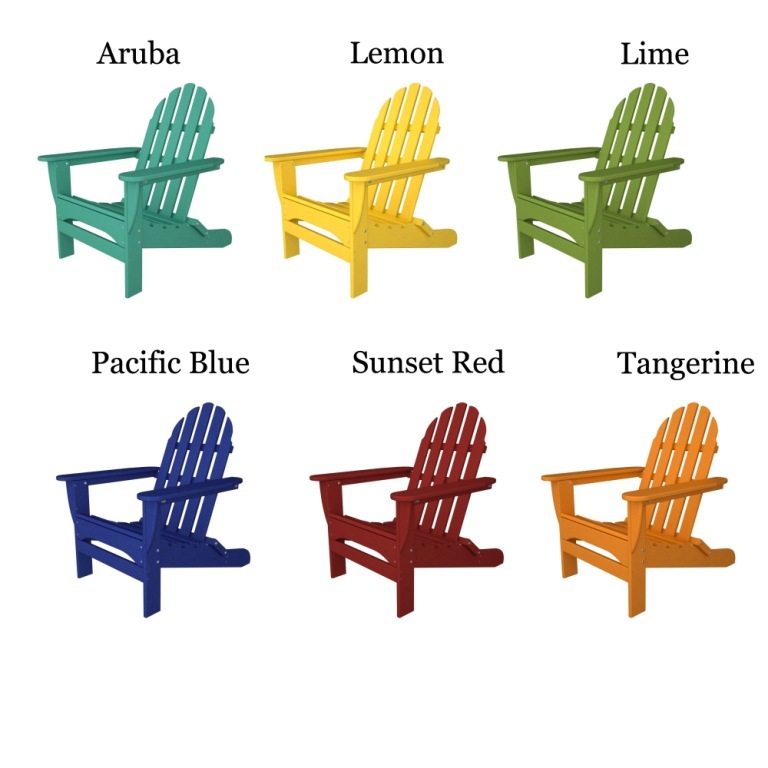 For orders being made with the Lemon Color only and being shipped into California, please read informattion for Proposition 65 WARNING. 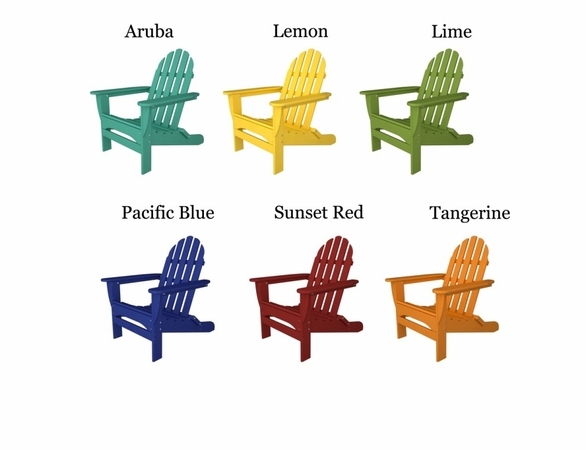 W: 29" x D: 35.75" x H: 35.75"
W: 20" x D: 17" x H: 14"